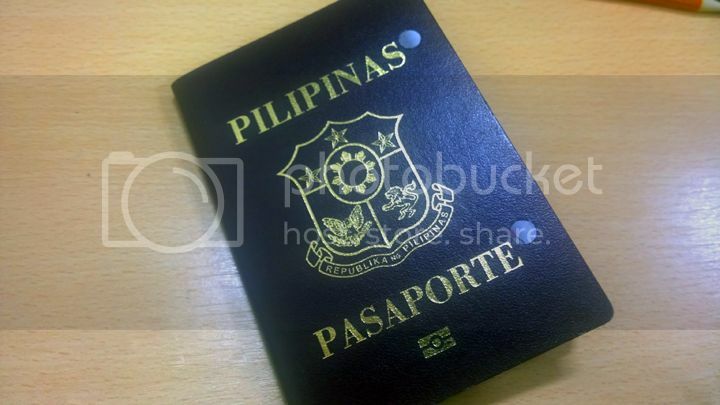 I decided to renew my passport last July 24 even if it’s expiring in January next year. I think there’s a six-month validity period prior to the actual expiration date. Yep, it doesn’t make any sense. Why put an expiry date if the passport is deemed unusable six months before? Anywaaaay. My memory of my passport application five years ago was a dreadful one. I brought some documents and government IDs and copies of those, but the DFA personnel asked for my Transcript of Records (which i luckily photocopied), and my company ID – my GMA talent ID, which i did not consider as a legit ID since it just had my name and face on it, no address, etc – hence no photocopy. I remember rushing outside the DFA building in Pasay for a Php 3 a page photocopy. What a complete ripoff. So for my renewal, I came prepared. I photocopied all the IDs I own. My TOR. I even asked for a Barangay Certificate. I am NOT spending Php 3 for photocopy a page again. I was scheduled for a 10:00am appointment at DFA SM Manila, but forgot that Manila traffic is horrible, and Manila Quiapo Friday traffic is worse. So I arrived 15 minutes late. Teehee. I left UST at 9:30, so no, I was not being an irresponsible human being. I don’t think I ever experienced UST-SM Manila commute that long before. You need to have a confirmed appointment, or else you have no chance of entering the office. DFA appointments could be done online, and it’s really quite easy. After filling up the form, and choosing your preferred time and date of personal appearance, you will receive an email with the link to your form. Print that form up and bring it to your appointment. ANYWAAAY. Since I arrived at 10:15, there were already two long lines outside the DFA Area. Turned out, the second line, which was a little bit farther from the entrance, was for those people with latter schedules (after 11am, i believe). They were not yet allowed to enter DFA because they were deemed too early. Wow, what efficiency. Prior to entering, the security guard checked my bag, and if my ID matched the name on my form. The guard directed me to a desk where the person will read the barcode on my form. Maybe to confirm my appointment. I dunno. This is quite a quick step, and the kuya is cute. Huehuehuehue. I was seated inside for the processing of my documents at 10:29am. 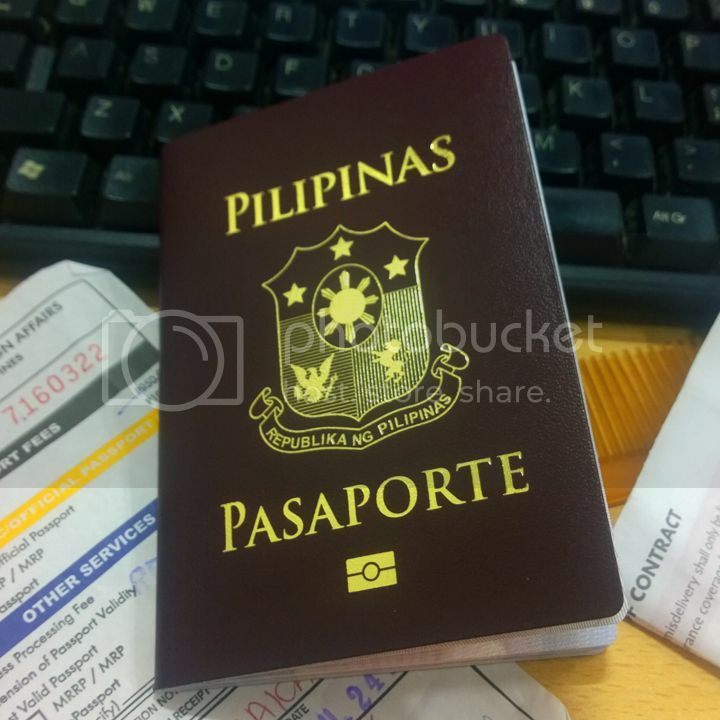 DO NOT FORGET to photocopy your passport (the data page and the last page). There was a photocopy section there inside, but I bet you big bucks that they overcharge. I waited for a while, but it was not a bore at all. When I entered, there were only, like, five rows occupied by humans. By the time I got out, the room was overflowing with people. So yeah, get an early appointment! When the DFA Miss called me, I was expecting to give ALL my available documents (did I mention that I came prepared?). But NOOOOOO, no ID card was asked from me, only my passport and a photocopy of it. She also just asked me to fix my hair like that of my passport photo and to remove my eye glasses. She literally just compared my present face to my past, passport face. I don’t know if this is always the case. Maybe not. Maybe I was lucky. I suggest you still prepare documents and IDs. After that, the Miss gave me a slip where she checked the “regular epassport” and its amount, plus stamped the date and time of the release of my passport. I chose regular processing since I am not in a hurry to leave the country anyway. Usually, it would only take 20 days before the release but because of delays, my passports was scheduled to be released on August 24. One freaking month after. I have no idea how long express processing is, but I’m guessing at least half a month. After the DFA punched a hole on my old passport, I went to the cashier. It’s fun that even if there’s only one cashier, the line was moving fast. I suggest you prepare the exact amount so as not be an inconvenience to others. This DOES NOT include the delivery fee yet, if you’re planning to have your passport delivered. I was seated for data and picture capturing at 10:58 am, almost 30 minutes since I was seated for step 2. I was taken aback by how quick it was! I had hopes that I’ll be out there before 11:30 am. Again, the data capture stage was a breeze. There were a lot of available DFA personnel, so even if the process took a long time (encoding, signature, the much-dreaded picture taking), the line was moving really fast. Before the exit to the DFA area is the courier (at that time, it was LBC). If you want to have your passport delivered, now is the time to arrange it. Just give the ate your slip, and they’ll give you a receipt. Delivery costs P150. Again, it’s a total ripoff. I mean, delivery usually only costs P39. Argh. I opted to swallow my pride and go with delivery since my release schedule is on a weekday, at 2-5 pm. So. And that’s it! I was out of there at 11:08am! That’s a less-than-an-hour passport processing – a far cry from the half day we spent five years ago! Yey, progress! Since my passport was release on August 24, I was expecting it to arrive the day after. Lo and behold, it arrived on time! I had it delivered in the office, and good thing I was working on a story so I arrived very early, so I received the passport myself. – I would suggest you get the earliest appointment. I can’t stress that enough. – If you have an existing appointment, cancel that before applying for a new appointment. The girl next to me told me that she has two appointments, so that made the second one invalid. The barcode desk person told her to try her luck anyway, but you do not want a wasted time, do you?